Conferences Archives - Page 3 of 19 - CUE, Inc. While attending our conferences, attendees take part in sessions offering a cutting-edge focus on pro-active human resources practices, and the latest developments in labor and employee relations. CUE conferences offer unparalleled networking opportunities with hundreds of other labor relations, human resources and operations management professionals. The Fall 2018 CUE conference is designed to provide real, actionable employee engagement ideas that you can implement immediately and create an environment for positive employee relations. Check out the list of topics and speakers below, and register here. Early Bird Pricing for Minneapolis for Members! Registration is now open with a limited number of early bird registrations available at only $800. 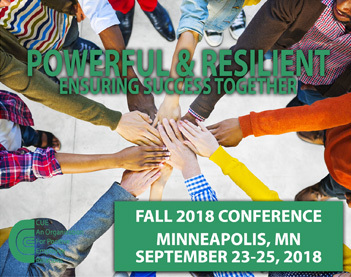 Our Fall 2018 Conference will be held in Minneapolis September 23-25th. The theme for this conference is focused on how we can use our extended CUE community to improve positive employee relations and drive successful business outcomes for your organization. Billiards and Employee Relations. It’s all about the CUE. Here’s a quick video from Brant Menswar, who will be our Monday keynote speaker and emcee for the Spring 2018 CUE Conference in Tampa. He will either be speaking to us about billiards or change management. We’re not quite sure yet.